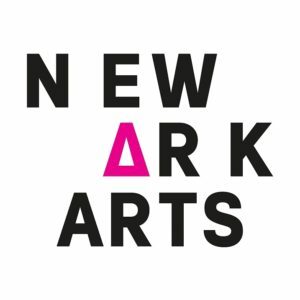 The Gem Project is a proud 2018-2019 ArtStart grant recipient provided by The Newark Arts Council, a 37 year-old not-for-profit organization that strives to provide resources and opportunities for arts and cultural organizations, throughout the City of Newark. The Gem Project will continue to pilot our service-learning initiatives that take on a social-justice approach, with college fellows working alongside high school students. This October, we will welcome 30 high school students, 2 art educators, and college fellows to work on an art activism project. It will take place within Express Newark at Paul Robeson Art Galleries. The ArtStart is funded by Prudential Foundation, M&T Bank, Bank of America, Turrell Fund, New Jersey State Council on the Arts, and The Geraldine R. Dodge Foundation. We join 18 other not-for-profit organizations, who are also funded this year and were awarded by The Newark Arts Council. Since ArtsStart’s inception in 2001, Newark Arts Council has distributed over 150 grants, which total over $400,000. On behalf of everyone at The Gem Project, we are grateful for this opportunity to extend programming as well as the great partnerships it will bring. More details will be provided later in September. Our Gem Project Fellows Earned: 40 Hours of Dedicated Training Across 7 weeks Meet The Gem Project Fellow Awardee: $1,000.00 to Asada Rashidi from Bard High School Early College Graduate, in partnership with NCOS!